Audit and Compliance: Are Your Air Filtration Systems Up To Scratch? Air filtration and maintaining healthy Indoor Air Quality (IAQ) levels are two of the many different operational functions for which companies are responsible. However, often these important areas are overlooked due to other perceived priorities or deferred maintenance. This is simply bad practice, not only from a financial standpoint but also from the viewpoint of good business standards. Some facts to consider from a range of studies into IAQ include ‘a significant number of workers believe that poor IAQ has caused them to miss work‘, and ‘nearly 80% of factory workers now believe that clean air is an important priority and should be treated as such by organisations‘. 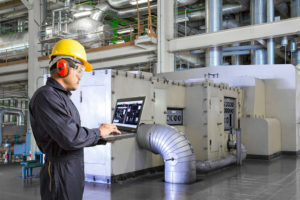 Considering the above, it is essential that senior teams have a trusted partner to support them in the optimal selection and operation of their air filtration systems, as well as robust maintenance and control systems in place. Specifically focusing on food production, what concerns might food processing plants have? A thorough air filter audit of your air handling systems is the first step to provide you with professional guidance and analysis for cost savings and risk reduction. Well planned audits can discover serious issues that are leading to problems in an HVAC system. Additionally, these surveys help us catch minor troubles that could lead to serious issues if left unattended. Furthermore it allows professionals to make recommendations on filter technology that will save you time and money by reducing labour and energy cost. Analysis of your current filter state by a team of industry experts. Professional guidance and analysis to reduce your energy spend, decrease your risk, and save you time. Valuable and detailed benchmark data. Life cycle cost report that will show you where your HVAC systems could be performing even better. A standardized list of filters by air handler unit (AHU) and application. The provision of an efficient and effective air handling system within your food factory has proven to improve hygiene levels. HVDS’ air hygiene and air handling products and services have been installed in food manufacturing facilities throughout the UK and Ireland. We have helped to significantly improve cleanliness, hygiene and productivity within these manufacturing facilities. At HVDS we also appreciate the critical nature and the time consumption of food audit compliance. Consequently, HVDS ensure that your audit reports are to be suitably presented to reduce audit inspection time. For more information and advice on the impact air handling and ventilation contact us at HVDS on 01785 256976 or sales@hvds.co.uk.